Android Central sends word that Adobe is touting that Flash 10.1 for mobile is finally done, finished, and has been released to their partners - including Palm. Flash Player 10.1 was also released to mobile platform partners to be supported on devices based on Android, BlackBerry, webOS, future versions of Windows® Phone, LiMo, MeeGo and Symbian OS, and is expected to be made available via over-the-air downloads and to be pre-installed on smart phones, tablets and other devices in the coming months. In other words, the pressure is apparently on Palm now to ensure that Flash appears in the App Catalog and right quick. Our feeling: even if using Flash for games doesn't pan out as well as some have hoped, at least we can all stop waiting for it to arrive. For details visit www.adobe.com/go/flashquote_sheet_101 or m.flash.com, Adobe’s showcase site for optimized Flash content. 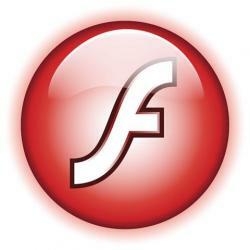 For more information on how to optimize Flash content for mobile, visitwww.adobe.com/go/fpmobile.